Musks can be a tricky business. They can be too clean, evoking room spray, dryer sheets and fresh laundry. They can be too dirty, evoking sweaty armpits and Mongolian leaders including their horses. Or they can be too big (molecular size-wise) resulting in anosmia among a certain percentage of people, me included. Therefore I tend to be only very cautiously optimistic, when I hear about a musc perfume. There is Musc Ravageur that have grown to really like, there is Annick Goutal Musc Nomade, that plays tricks on me, there is L’Artisan Mure et Musc, which is quite nice, and there is the infamous Serge Lutens Muscs Kublai Khan, that smells truly horrific to me. Musc by Mona di Orio includes notes of neroli, angelica, rose, heliotrope, tonka bean and precious musks. If you combine Mona di Orio’s reputation for loving to work with animalic notes and the idea of musk, you might be afraid to try Musc. No reason to be though. Musc is a very soft, quiet and delicate scent. Opening with cool angelica and a little bit of green neroli, the musky base settles in quickly and in and out waft rose and heliotrope and the sweetness of tonka bean. Musc is comforting and as soft as a kitten’s fur or a baby’s cheek. But underneath all the innocence and tender sweetness, lies bare skin. Bare skin you long to touch, soft and warm and a little salty. Musc is not only delicate beauty, there is the idea of a human body as well. Not too clean, not too rank. A perfect balance. Musc makes you want to come close and bury your nose deeply. Still, Musc has nothing sexual for me, it is rather chaste, but exudes a warmth that makes you long for an embrace. 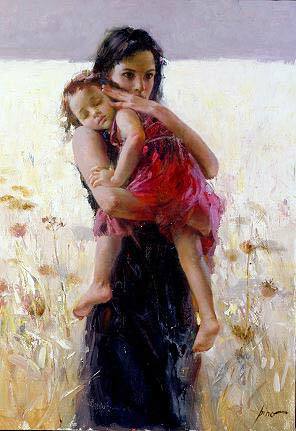 A hug from a close friend, a mother’s loving touch, a child’s caress, they all smell like Musc. Who doesn’t need a hug now and again? This entry was posted in Fragrance Reviews, Mona di Orio, Musk and tagged Fragrance, Mona di Orio, Musc, Musk, Perfume, Review. Bookmark the permalink. Well, maybe get a sample of Musc as well? But maybe it is a good solution to buy decants (or go in on a split) of more than one MdO perfume, instead of a whole bottle of only one of them? “Mongolian leaders including their horses” LOL! You really sum up my feelings about musks, I’d just add the stabby headachy reaction I sometimes get too, as in the case of Jicky sadly. Now Musc sounds like the musk I have been hoping for but never found; soft, fuzzy and warm. (I too like Musc Ravageur but it’s a little bold for me to wear much and Mure et Musc is very nice but need to test more). I like the sound of Musc’s perfect balance between dirty and clean too. Lovely review. Thank you, Birgit, for writing about Mona’s perfume today. I love this one, too. I never met Mona di Orio but if you love her fragrances – her babies, as she called them – you may feel as if you knew her in a way – in your heart. I’m sure you know what I mean. And I miss her, too. Hugs. I know what you mean, Isabelle! I’m glad to have her perfumes. Hugs back. I was worried about the heliotropin in this one, as it can go Play-Doh or baby diaper wipes if it isn’t used delicately. But you’ve convinced me this one is worth a go, and I’m going to try a sample. Thanks, B! No play-doh is sight with this one, Marla, at least to my nose! I hope you like it as much as I do. I love my sample of this. Oh MY!… beautiful review, so evocative of tenderness …! As for the note list is an absolute must try for me…. there’s nothing inside that I don’t enjoy in a scent. Well, let’s say that I’m not a ‘Pure Musk’ (solely-alone) fan, I’m not in the mood for wearing very often. oh so sad she passed away… I still have no words concerning that terrible news. Musc is indeed very tender and soft, simply lovely. Take a look at the MdO website, I think there are retail locations listed. PS: wait a minute… it’s amazing I just have found the two vials I get from Lux and Oiro on that holiday travel! I never thought it could be possible to find them! but Oiro is OOOhhh… I’m muted… I swoooon…. Please can you tell me where I can get a sample of Musc…??? In Europe on First in Fragrance and Les Senteurs, the MdO website sells 7ml minis for 5€. Thanks for the tip, Birgit! I only knew First in Fragrance, I purchased them a perfume long time ago, they are nice. I’ll take a look at Les Senteurs. Customer service is great with both! … could be Dior’s Eau Savage…?Suddenly while smelling Lux simply comes to mind: ES was one of my father’s signature perfumes and Lux strongly reminds me of him. I can see some similarities in the top. How nice (I hope!) that you found something to remind you of your father in Lux. That’s great! Never throw away perfume… 🙂 I hope they are still fine! oh yes absolutely, I adore my father 😀 he passed away some years ago so I’m happy moved by the smell. That is lovely to hear, GeM! You are the lovely one and I would thank you once more, because with this review you made possible the unexpecting rediscover of ‘Mona di Orio’s hidden treasures I got’ that they brought some nice memories back. 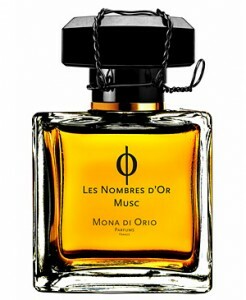 And also we are trying for our first baby and meanwhile your writing says me a lot, so I think this Les Nombres d’Or Musc could appeal to me very very specially in a close future (I hope!). You summed up my experience with her perfume so well. I have two of her perfumes in full bottle and would love to add this one but I would prefer a decant. Silly question but where can I buy into splits or decants here in Europe? But I can help you with Musc! I would happily provide you with a decant up to 30ml. Email me for details, Sandra! Birgit, your words are like a perfectly tailored suit on the body of a perfume–here, you have captured Musc perfectly for me! I love the combination of tenderness, with the feel of a warm body beneath, like, as you say, a warm hug from a loved one. This is the first musk-centric scent to really wow me, and win me over. There have been a few musks I’ve loved (like the sweet musk in SSS Tabac Aurea), but mostly they smell like plastic, vomit, or “stabby”! MdO Musc is a revelation of how beautifully a musk can wear. Did the friend like the “baby powder” vibe she got? Hmmm, well, I don’t think it was negative, but with no association for a powdery smell other than baby powder, I’m thinking that she found it a little odd (because she knows I’m into perfumes). There is a certain signature I smell in all of Mona’s perfumes. A sort of “mini-musc” is in the base of all of them, imho. It is also in Oiro, although the golden light of jasmine gives the perfume an entirely different character. sure, that’s what I suspected. but, you know…? To me (or at least On me -and I hope it isn’t due to corrupted product sample!-) Oiro it’s far more about the golden light of tuberose than the jasmine! When I sniff my wrists a few time after application, Fracas by Piguet and Olène by Dyptique comes to mind for a very short lapse of time… I see Oiro like the musky version of them. It’s so funny… I love both of them and I love tuberose even more than jasmine, so it’s hard not to love Oiro. My only complaint is that probably I’m a bit ‘anosmic’ to this concrete musk…? because I’m only noticing the smell of the fragrance as I sometimes rub my wrist up and down over my skin, but if not, it’s like there’s no trail after a while… Maybe the fragrance lingers on my skin very well… or maybe my skin eats it! The fact is that I have the chance to get a full 100ml bottle of Oiro from the shop where I get the vials, at quite a very good price (145 €, shipping included) and now I’m in a dilemma. It may be due to a specific anosmia… Oiro lasts quite well on me. Maybe it would be a good idea to sample it a bit longer before you commit to a FB. Yes. My husband and me we’re going out this weekend with some friends of us, so I’ll take my vial of Oiro and I’ll test it properly, not only on the wrists… well, let’s see how long I can make this (half sized!) sample last! Thank you, Dee! Yes, I’m quite accustomed to that different kinds of powder so I’m not thinking in my own impression of the fragrance, but in my husband’s impression…! haha! 😉 But I better ask for a sample and let’s see what happens!! This sounds like a perfectly balanced musk scent, and it is a category I like generally. The added hug bit also appeals! I love this review. You and I seem to have similar tastes in musk, at least to an extent, Birgit. I love Musc Ravageur but found Muscs Koublai Khan too much. This one is definitely going on the sample list. This is a musc that strikes a perfect balance – no sweaty dirt, no squeaky clean soapiness. Now I only need the ‘perfect balanced’ reference one! …mmmmh, any suggestion? I have same problems with musk than you. Usually I tend to go around it. But if I have an opportunity to try this one I definitely will. Remember when we recently commented about ‘baby’ products in our respective countries …? so when you told me that in yours they’re not around the neroli note, but they’re mostly powdery and rather sweet —> what your words suggested me, that is how MdO’s Musk smells like to me. Definitely, Oh Yes! This is just a first impression. By the way… I really find it could be the perfect scent for nursing and early motherhood! You are right, I guess I do associate it with baby powder and generally being coddled and cared for. Dear B, once more, you’re right, one more, we reach each other……so amazing, while I had not liked at all Musc when I sampled it the first time, I read beautiful reviews about this cloud of perfume…..I received an advice from Renata at Sens Unique, she’s a seller,she knows stories about all perfumes, and is a so nice and kind people…She didn’t understand why I didn’t want to test it again while I love almond heliotrope…..So I did and…………..I LOVE it. It’s amazing, my only love in MdO’s line was and remains Vanille but whereas I didn’t like Ambre and Musc, now, slowly, very slowly, they became a “must”. I bought, as you know, a FB of Ambre and love it more and more and received new samples by Renata of Musc so delicious, the skin of an angel as she’s used to say. So comforting, light but strong at the same time, powdery, aldehydic but not too much, me who hate musk, it’s not musk for me, it’s a cloud of softness around me…..
2nd lesson, love is not always at first sniff, it’s been like this for Vanille but Ambre and Musc became gorgeous after knowing them better. Seriously though, Mona’s perfumes are wonderful, and I also ended up loving the ones I dismissed at first the most. I’m glad you have such a wonderful SA who seems to know you well.